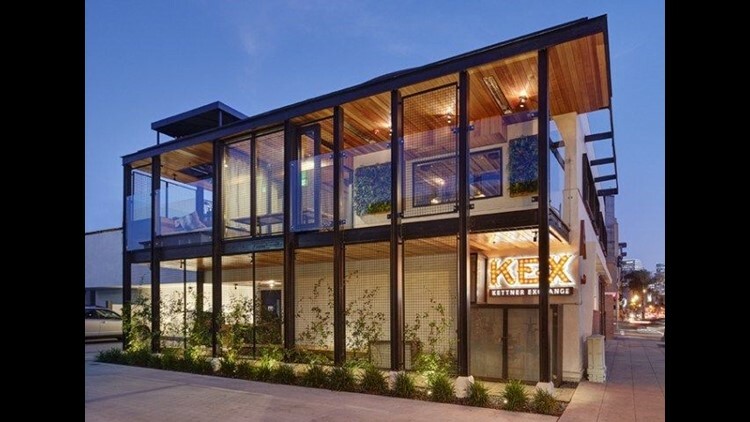 SAN DIEGO (CNS) - Online restaurant reservation site OpenTable released its list of the 100 "hottest restaurants in America'" for on Wednesday for 2016, with San Diego eateries Juniper & Ivy and Kettner Exchange making the cut. The list reflects the combined opinions of more than 5 million restaurant reviews submitted between March 1, 2015, and Feb. 29 by verified OpenTable diners for more than 20,000 restaurants in all 50 states and the District of Columbia, according to the website. Bestia, Republique and Perch in Los Angeles made the list, as did Cassia in Santa Monica, Venice eateries Gjelina and the High Rooftop Lounge, Vitello's in Studio City and two South Bay restaurants -- Manhattan Beach Post and Palmilla Cocina Y Tequila in Hermosa Beach. Three Riverside County restaurants -- all in the Coachella Valley -- were recognized: Eight4Nine and The Tropicale, both in Palm Springs, and The Nest in Indian Wells. No Orange County restaurants were on the list, which includes honorees in 27 states. California has 25 restaurants listed, followed by New York with 15, Florida and Illinois with seven each, Texas with five, Colorado and Georgia with four winners apiece, and Louisiana, Massachusetts and Nevada with three each. More than one-fifth of the restaurants on the list opened their doors in 2015. While American cuisine was quite popular, Asian, global, Italian, Mexican and sushi eateries also made strong showings. All restaurants with a minimum ``overall'' score and number of qualifying reviews were included for consideration, according to OpenTable. Qualifying restaurants were then sorted according to a score calculated from each eatery's average rating in the ``hot spot'' category.